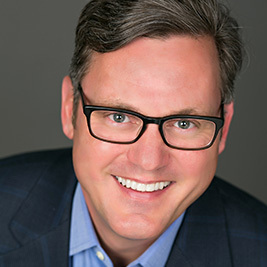 Tommy Spaulding is the Founder & President of Spaulding Companies, a leadership development, speaking, training, and executive coaching firm based in Denver, Colorado. 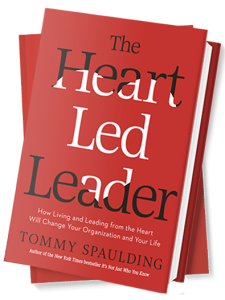 A world-renowned speaker on leadership, Spaulding has spoken to hundreds of organizations, associations, educational institutions, and corporations around the globe. His first book, It’s Not Just Who You Know: Transform Your Life and Your Organization by Turning Colleagues and Contacts into Lasting, Genuine Relationships, published by Penguin Random House in 2010, quickly climbed to the top of the New York Times, Wall Street Journal and USA Today national bestseller lists. His new book, The Heart-Led Leader, published by Penguin Random House in October, 2015 is a New York Times and #1 Wall Street Journal national bestseller and was also listed on Inc.com’s Top 100 Business Books of 2015. Tommy now resides in the Denver Metro Area with his wife and children.